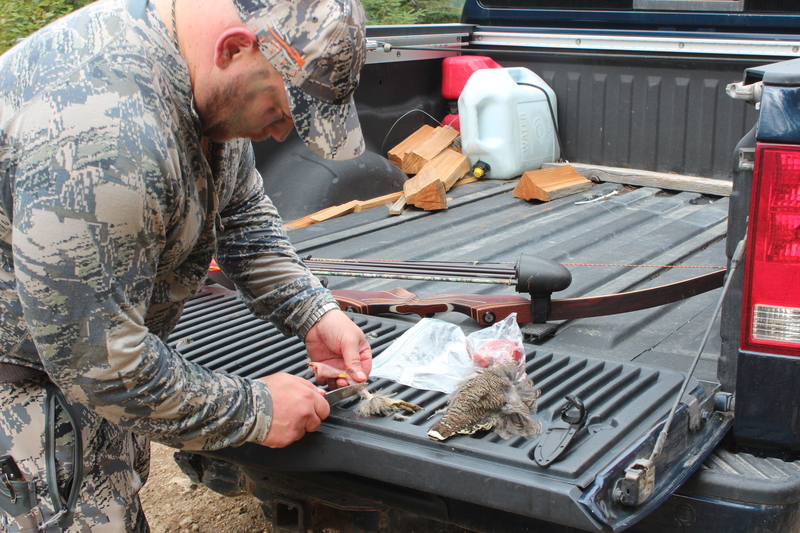 In an effort to glean every usable portion of this meat, I used my Cold Steel Pendleton Mini Hunter to process the Spruce Grouse. It’s getting close to hunting season and we were looking to boost awareness of the facebook page, so we figured…why not give away some gear?! We have been lifetime fans of Cold Steel Knives and have tremendously enjoyed working with them over the past few years. I’ve carried a Cold Steel knife in my pocket, strapped to my belt and in my backpack for as long as I can remember. One of their models that I am very partial to, is their Pendleton Hunter. So, that’s what we are giving away! All you have to do to be entered, is “Like” our facebook page, “Like” the post that’s pinned to the top and tag a friend on the post. That’s it, plain and simple! Once the page reaches 1,500 hundred “Likes”, we will be giving the Pendelton Hunter away. Oh, but wait….we will be giving away a couple more Cold Steel knives in the meantime. So stay tuned to the facebook page for opportunities to win. 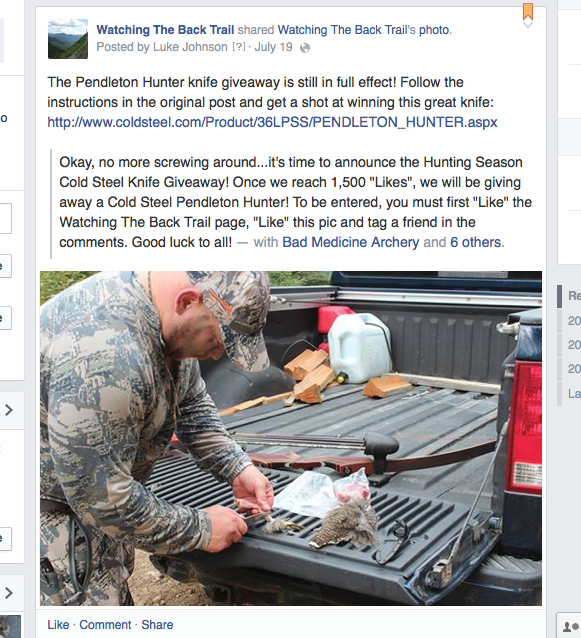 Follow the instructions from this facebook post for a chance to win an awesome knife for this hunting season! Thank you for the support and have a great season Everyone!